Height Adjustable from 27" to 39"
The Hausmann Industries Hydraulic Lift Hand Therapy Table is a heavy-duty device designed to assist hand therapists in treating patients undergoing exercise and rehabilitation for the upper extremities. Awesome and Adjustable Design. 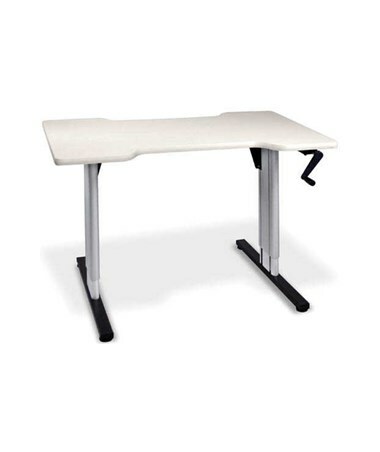 Made with a sail white 1 1/8" high-pressure laminate top, the Hydraulic Lift Hand Therapy Table features T-molding edges with 4" x 24" cutouts in the front and back which provides the therapist hassle-free access to the patient. It has an easy-to-operate Crank Hydraulic Lift system that can adjust the height from 27" to 39" easily to allow patients to sit-down, on wheelchair use or stand-up. The crank handle folds out of the way when not in use. 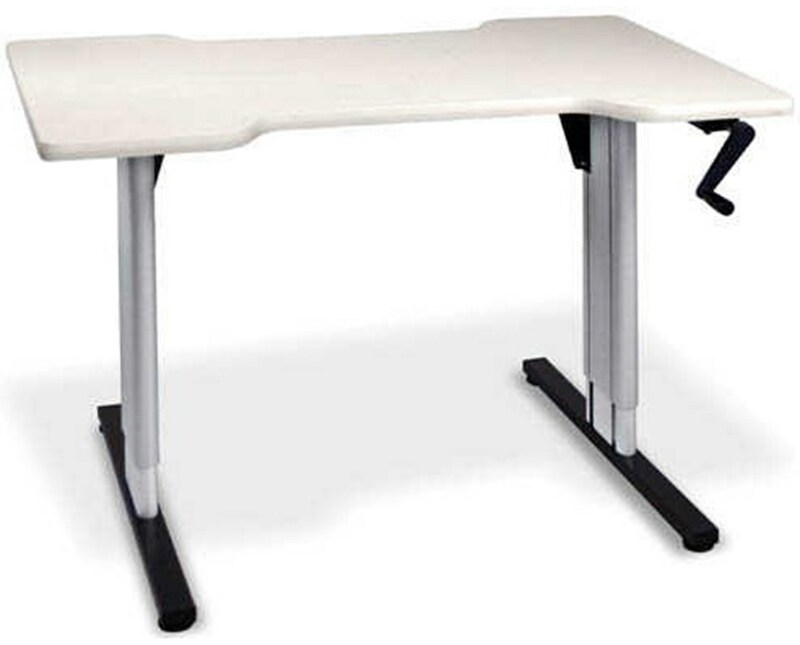 The table has extruded aluminum telescoping legs with a tubular metal base with levelers that provides optimal stability. The Hausmann Industries Hydraulic Lift Hand Therapy Table has a weight capacity of 250 lbs. and comes in a size of 48" L x 32" W x 27" - 39" H.